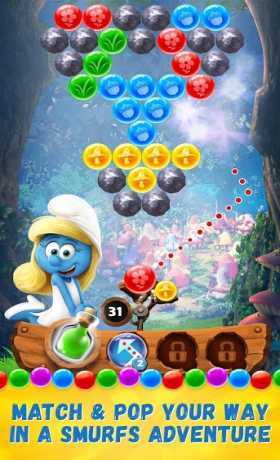 Inspired by the new animated movie, Smurfs: The Lost Village, get ready for the first-ever bubble shooter game from the Smurfs franchise, Smurfs Bubble Story! 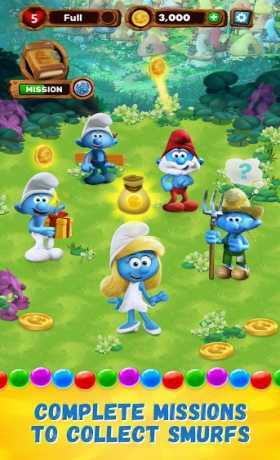 Pop matching bubbles and complete missions to collect Smurfette, Hefty, Brainy, Clumsy, and many more iconic Smurfs characters for a bubblicious adventure! On your quest, encounter wild animals, a hidden mysterious forest, while on the run from the evil boss wizard Gargamel and his minions. 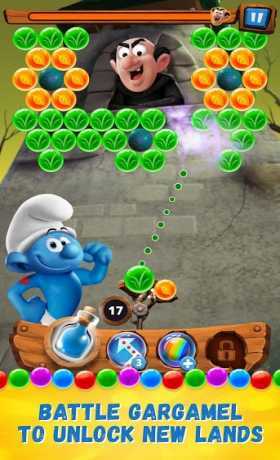 Pop your way into building the ultimate Smurfs collection, use multiple Smurfs power-ups to beat boss levels, and progress to new and unknown magical locations! SMURFS™ & © Peyo 2017 Lafig B./IMPS. Movie © 2017 CPII and LSC Film Corporation and Wanda Culture Holding Co., Ltd. Excluding the foregoing, © Sony Pictures Television Networks Games, Inc. All Rights Reserved.